Need a tow? Say Hello. Breaking downs always happens when you least expect it, but when it happens, it’s generally when you absolutely have to be somewhere. Got a big car? Small van? Our tow trucks can tow any vehicle up to 12 tonnes. We get there fast and our tow truck drivers know what they are doing. We can do deal with pretty much any situation. Whether it be your car has broken down in the middle of the night or, your vehicle is stuck in a ditch. In addition, we offer all types of recovery towing. At hello towing, we have completed some pretty interesting jobs. Recovering vehicles off the beach, that the tide have taken. Recovered stolen vehicles that have been dumped in the middle of the forest. Further more, as we have a mechanical workshop we work together, for the purpose of achieving a better result. When you break down it can be stressful. Our aim is to take as much of the stress away, so you can get on with your day. Above all, our customer is our priority, even more your safety. Considering some situations we encounter, breaking down or needing recovery can be dangerous. Consequently your vehicle could be damaged further, if the recovery hasn't been carried out correctly. 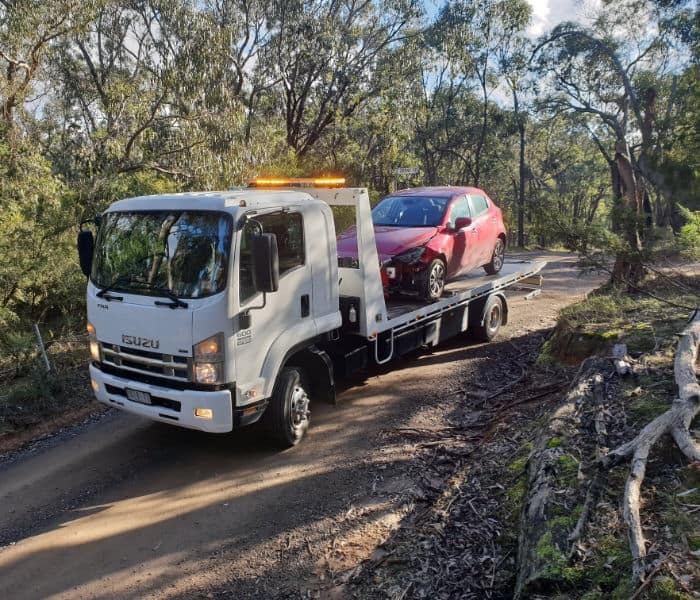 We conduct a 24 Hour Towing service across several Western Suburbs of Melbourne. Including, Laverton, Werribee, Hoppers crossing, Point cook, Geelong and more. In that case, we make sure there are no long wait times on hold. We are ready to respond at all times of the day or night. Every tow truck in our fleet is maintained and kept prepared for all types of circumstances. What to do when your car breaks down. A car can break down for many reasons and not all of them are obvious. Even with basic car knowledge, you should not attempt to fix the car yourself. You may make it worse unintentionally.